The flip or clamshell is a mobile phone form factor which is in two or more sections that fold via a hinge. If the hinge is on a long edge the device is more likely to be called clamshell than flip phone (e.g., Nokia Communicators). When the clamshell is open, the device is up and ready to be used. The interface components are kept inside the clamshell, which offers more surface area than when the device is closed. Interface components such as keys and display are protected when the clamshell is closed, and it is shorter and narrower, making the device easier to carry around. A disadvantage of the clamshell design is the connecting hinge, which is prone to fatigue or failure. The clamshell form factor is most closely associated with the mobile phone market, as Motorola used to have a trademark on the term "flip phone", but the term "flip phone" has become genericized to be used more frequently than "Clamshell" in colloquial speech. The design is also used on some landline phones, particularly cordless phones. Other devices using the flip form include laptop computers, subnotebooks, the Game Boy Advance SP, the Nintendo DS, and the NVIDIA Shield, though these are less frequently described as "flip" or "clamshell" compared to cellular phones. The form factor was first used by the laptop manufacturer GRiD (who had the patents on the idea at the time) for their Compass model in 1982. The first Motorola model to support the clamshell design was the StarTAC, created in 1996, although General Telephone & Electronics (GTE) held the trademark from the 1970s for its Flip Phone (one of the first small hand-held electronic phones), until 1993. The design has since been copied by virtually all mobile phone manufacturers many times. Clamshells were, as of early 2009, the most popular form factor for cellular phones in the U.S. However, with the advent of smartphones, they have lost ground to phones with slide-out keyboards, and touchscreen slate phones. 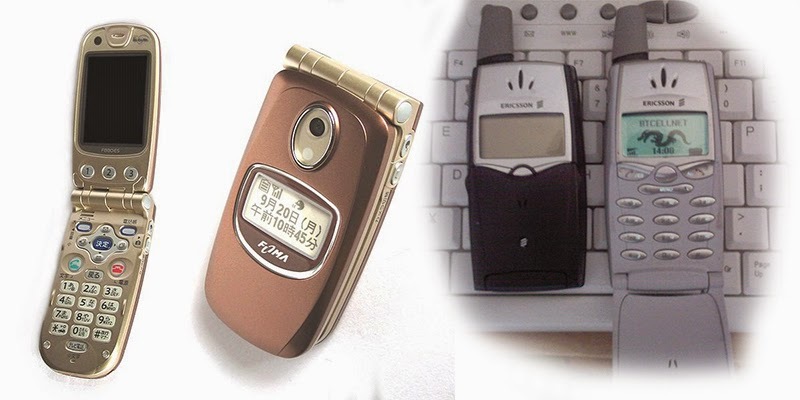 Cellular phones are the most popular use of the clamshell form factor. The design is also used on some landline phones, particularly cordless phones. Other devices using the flip form include laptop computers, subnotebooks, the Game Boy Advance SP, the Nintendo DS, and the Nintendo 3DS, though these are less frequently described as "flip" or "clamshell" compared to cell phones. Last updated on 29 September 2014 at 20:38.